Yesterday’s announcement of Detroit’s bankruptcy filing was unprecedented — no other American city of similar scale has ever filed before, and this is worrisome for many of our community’s residents because of the uncertain outcomes. Everyone in our region will be affected. As a community, we will have to work together and create a viable road map to navigate the changes that are to come. We encourage anyone who is struggling to contact our 2-1-1 help line to find assistance for immediate needs. I ask you to share this information with your friends, family and co-workers and offer support in whatever capacity you can. At United Way, we will continue working with our public, private and nonprofit partners to maximize our resources to assist this region. We will forge ahead, creating the best opportunities for educational success while we continue our work to provide basic essentials and a pathway toward self-sufficiency for our most vulnerable residents. This won’t be easy, but no comeback story ever is. We will get through this. While no one wished for bankruptcy, we have the choice to rewrite our own tagline for the future our city. 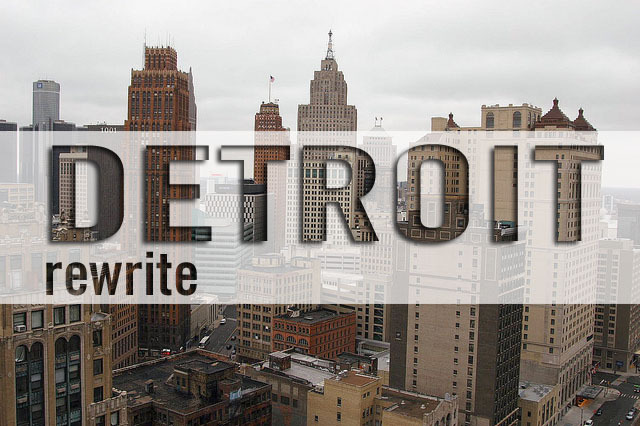 As the stakeholders of this region, we will ultimately rewrite our own story and achieve our Big Hairy Audacious Goal of making greater Detroit one of the Top 5 places in which to live and work by 2030. Next Are You Causing Enough Trouble?